Finding the right bank for a mortgage loan is the first step prior to a property hunt. Financial institutions provide different types of mortgages, which can vary depending on the preference and eligibility of the borrower. But before picking a particular type of mortgage, borrowers need to do their homework on the types of mortgage available with the banks in their region. Here are some of the standard mortgage types available in UAE. Fixed-rate mortgage is traditional and well-known. The interest rate will remain the same throughout the loan period. The flat rate will be predefined during loan approval, which will be followed until the end of the tenure. At some institutions the fixed rate may not last for the entire tenure. Lenders charge a fixed rate for a certain period and then shift to a variable interest rate decided by the Emirates InterBank Offered Rate (Eibor). The variable rate is the inverse of the fixed rate. This keeps fluctuating on a daily basis. Current variable rates in the UAE start from 2.5 per cent. This can increase or decrease as determined by Eibor. With some lenders the standard variable rate is not as high as the fixed rate. If you are planning to choose a variable rate mortgage, then prepare with the fluctuation as it will certainly have an impact on your monthly expenses. Under a discounted rate mortgage, finance is provided based on a standard variable rate. Lenders provide a certain percentage of discount on the interest rate — say 0.5 per cent off for the first three years. The discount is provided as an introductory or welcome offer. This may sound the best mortgage type, but definitely not the cheapest as the discount is only for a limited time. From an overall, long-term perspective there may be other types of mortgages that save money on the total interest paid. As already mentioned, the variable mortgage rates are slightly low compared to a fixed-rate mortgage. But variable rates are unpredictable as they may rise or fall anytime. This can be stressful for the loan holders. To make it better, financial institutions provide an option called capped mortgage. A maximum cap is set and if Eibor rates increase, the monthly instalment will not go beyond the predefined cap. The capped mortgage is again valid only for a certain period as an introductory offer. A remortgage is getting a mortgage loan on an existing mortgage or in simple terms transferring your existing mortgage to a new lender. This is popularly known as balance transfer in the UAE. It can be availed with a different lender or the same lender itself. The concept of remortgage is helpful if the new loan is provided on low interest rates or if the loan holder is in need of additional funds. Offset mortgage is a new concept in the UAE. Very few lenders provide offset mortgage here. Under an offset mortgage, loan holders can link their savings account, current account, credit card account and the loan account. Whenever some funds are credited on any of the accounts the loan amount gets reduced by an offset of the credited amount. For example, on a mortgage amount of Dh300,000, if the funds added to the account are Dh50,000 then the loan amount will be Dh250,000. The interest rate will be calculated on Dh250,000 only. The borrower can use the funds on the linked savings/current account when required. The interest rate is paid only on the loan amount left, decreasing the amount of total interest paid, while not depriving you of financial independence. For any individual, purchasing a home should definitely be a pleasant experience and it can be achieved only if you plan well and figure out the financial products that are best for you. 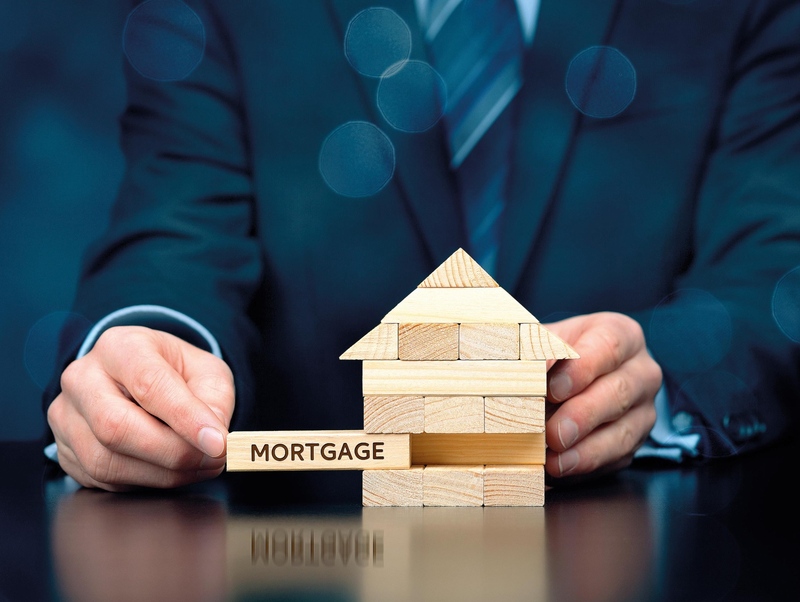 It is important to understand the different mortgage types before you sign the dotted line as a home mortgage is something that will have a huge financial impact for the long term. Souri Guha is the co-founder of MyMoneySouq. The viewes expressed here are his own.